ZAMBOANGA, Philippines (Mindanao Examiner / July 26, 2010) – Philippine soldiers searching for a kidnapped Japanese man in the Sulu archipelago clashed Monday with Abu Sayyaf militants in the town of Patikul, officials said. Officials were also investigating whether the militants were involved in the kidnapping of Toshio Ito, 63, who was captured by gunmen on July 16 in the town of Pangutaran. “We have no reports of casualties, but troops are still in the area and searching for the kidnapped Japanese,” said Marine Brigadier General Rustico Guerrero, commander of military forces in Sulu. He said troops were tracking down Ito on the town when they clashed with a band of Abu Sayyaf fighters. The fighting erupted a day after security forces arrested an alleged Abu Sayyaf member – Mustakin - in Zamboanga City while awaiting for a ferry bound for Malaysia. Authorities accused Mustakin as behind previous kidnappings in Sulu, but it was unknown whether he had a hand or involved in Ito’s disappearance. 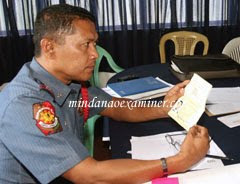 Police last week said it recovered a letter allegedly sent by Ito, but details of its contents were not made public. It said Ito’s passport was also recovered by the police in Pangutaran town and had contacted the Japanese embassy in Manila about this. No group has claimed responsibility for the kidnapping of Ito, a native of Hiroshima who moved to Pangutaran in 2004 where he established a pharmacy and a gravel business. Police said Ito is also a treasure hunter. He previously lived in Marawi and Zamboanga cities and had a pending court case in the town of Plaridel in Misamis Occidental province where he is facing charges of trespass to dwelling. Authorities were suspecting Abu Sayyaf militants with links to Jemaah Islamiya could be behind the kidnapping. The Abu Sayyaf last year kidnapped three international Red Cross workers – Two European and a Filipino – in Sulu and had been ransomed off. The group was also behind high-profile kidnapping cases; including 21 mostly Westerners in Malaysia’s Sipadan Island in 2000 and three US citizens in 2001 in Dos Palmas resort in Palawan Island in the Philippines.